Habitat: Very common in gardens, on waste and arable land, roadsides and pavements. Less frequent in Scotland. 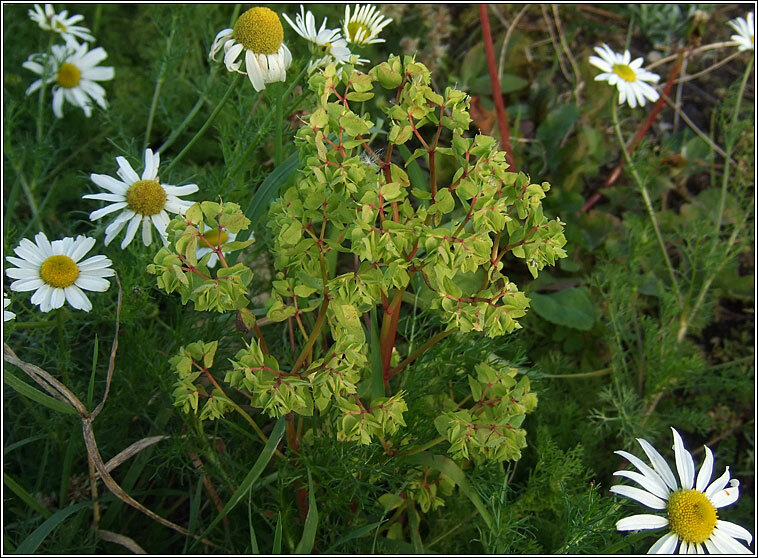 A hairless, upright plant, the yellow-green, 3-rayed umbels containing minute glands of crescent-shaped flowers. Leaves are stalked, untoothed and alternate. 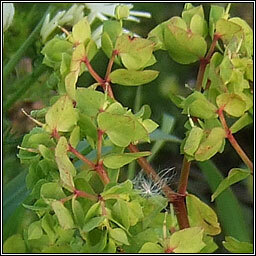 Similar: Sun Spurge, E. helioscopia has larger, 5-rayed flower umbels. Dwarf Spurge, E. exigua has unstalked leaves and smaller flowers. The fruit capsule is not keeled.